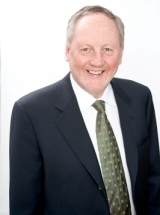 Michael Fullan, O.C., is the former Dean of the Ontario Institute for Studies in Education of the University of Toronto. Recognized as a worldwide authority on educational reform, he advises policymakers and local leaders around the world in helping to achieve the moral purpose of all children learning. Michael Fullan received the Order of Canada in December 2012. He holds honorary doctorates from several universities in North America and abroad. Fullan is a prolific, award-winning author whose books have been published in many languages. His book Leading in a Culture of Change was awarded the 2002 Book of the Year Award by Learning Forward, Breakthrough (with Peter Hill and Carmel Crévola) won the 2006 Book of the Year Award from the American Association of Colleges for Teacher Education (AACTE), and Turnaround Leadership in Higher Education (with Geoff Scott) won the Bellwether Book Award in 2009. Change Wars (with Andy Hargreaves) was awarded the 2009 Book of the Year Award by Learning Forward, and Professional Capital (with Andy Hargreaves) won the AACTE 2013 Book of the Year, and the Grawemeyer Award in Education in 2015. Michael Fullan’s latest books are: The Principal: Three keys for maximizing impact, Coherence: Putting the Right Drivers in Action (with Joanne Quinn), Freedom to Change, and Indelible Leadership: Always Leave Them Learning. He currently serves as an Advisor to the Premier and Minister of Education in Ontario, and is co-leader of the New Pedagogies for Deep Learning global initiative. Learn to lead well and leave a lasting impact with this compact, richly innovative book from the Corwin Impact Leadership series. Discover six specific leadership attributes to stimulate deep learning―and deep leadership―that transforms schools for the future. Complex times call for streamlined solutions―and leaders to pull them together. Have you ever felt like your progress was being blocked, not just by your own circumstances, but by the presence and actions of others? Freedom to Change releases you from the trap of constantly telling yourself that you'd be more successful at teaching, leading, or contributing to an organization if only others didn't stand in your way. In his engaging, irreverent style, bestselling author Michael Fullan explores the two kinds of freedom in our daily lives: freedom from obstacles versus freedom to take initiative and act. Gaining freedom from barriers has no value in itself until it is partnered with an equally determined sense of what you truly want. What change would you like to bring about for yourself or those around you? Principals are often called the second most crucial in-school influencers (after teachers) of student learning. But what should the principal do in order to maximize student achievement? One of the best-known leadership authors in education, Fullan explains why the answer lies neither in micro-managing instruction nor in autonomous entrepreneurialism. He shows systematically how the principal's role should change, demonstrating how it can be done in short order, at scale.